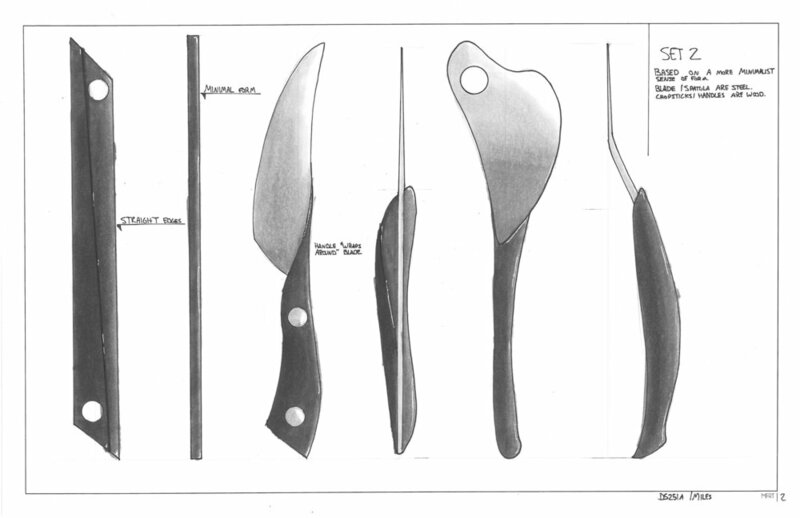 Below is the entire development process of the WEI Kitchen Utensil set. Industrial design is the creative act of determining and defining a real-world product form. The first step is to identify and define a practical and established problem, and then execute design solutions to solve that problem. Most American college students are getting by with the bare minimum in terms of kitchen utensils. College students typically purchase the cheapest items, often overlooking things such as the type of plastic used, design and re-usability. The objective was to conceive and develop 3 kitchen utensils that would be inexpensive, functional, well designed, environmentally sensitive and appealing to the American college audience. 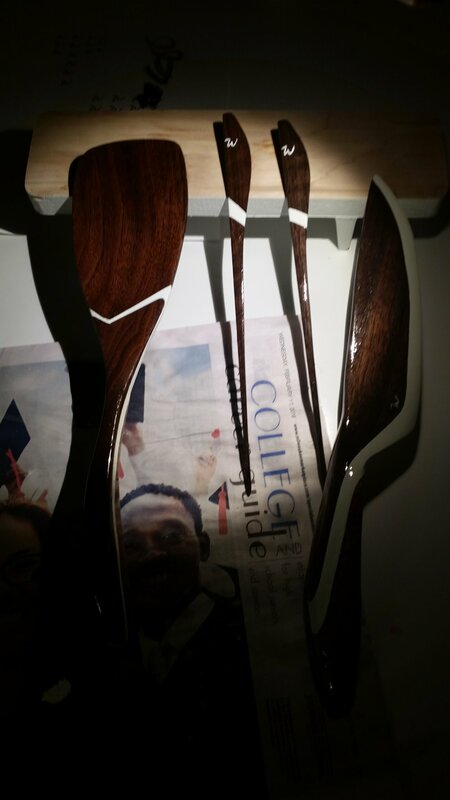 A set of chopsticks, an 8” cooking knife and a spatula were decided upon by the client. I then chose and researched three utensils and carried out a pro vs. con examination of each against similar products. I then simplified the comparative results into the most common pros and cons based on self-observation in the kitchen, as well input from other users. - End of spatula becomes soft after use. I find this an often overlooked part of the design process, but personally find it very important. I developed an inspiration page full of things that helped me create kitchen utensils, from patterns to forms to cooking styles and even weapon designs. I even took design elements from animals, such as this toucan. This was drawing time. I needed to get the ideas out of my head and onto paper before moving on to prototype development. I made simple primed models of 2 sets of utensils so that I could feel how the shapes fit in my hand, as well as the hands of other users. Noted adjustments were made and incorporated in the second round of models, which were made from poplar wood with a simple neutral primed finish. I was more concerned about form at this stage and not aesthetics. There was then a group critique to identify shortcomings, preferred features, possible improvement areas, etc. In essence, we ruthlessly pointed out the good, the bad and the ugly. 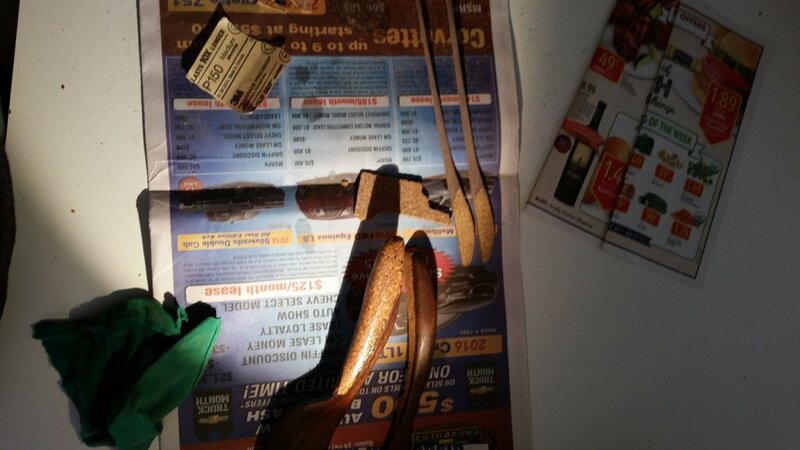 The making of the final models: I went to the local lumberyard and purchased some dark walnut and cork. I wanted a walnut body (aesthetic durability) with a cork handle (aesthetic comfort), and a ceramic edge (aesthetic functionality). The utensils were relatively cheap to make, ergonomic, functional, environmentally responsible, easy to clean and looked nice for a good price. Note that while ceramic does not dull over time, it does easily chip if not careful, which I saw was the main durability and functional shortcoming.